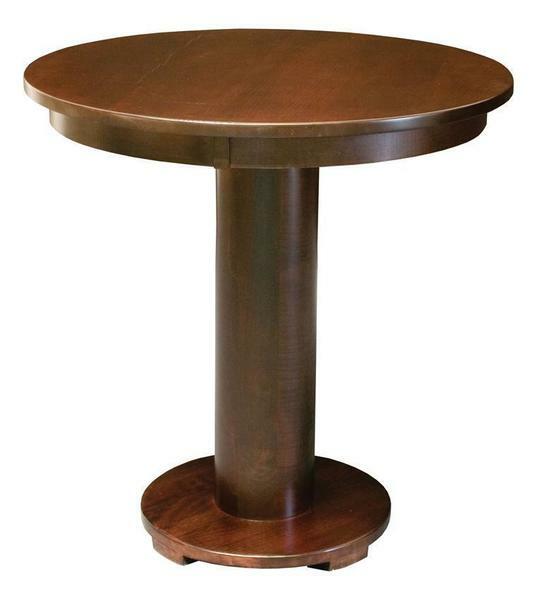 This Amish handcrafted Round Barrel Bistro Table has a clean, contemporary look. The dark finish shown is a brown maple wood with an espresso stain and a 36" solid top, with a 36" high pedestal top and a Mission edge. Customize the look by selecting a variety of options like wood type, finish, table size, table height, table edge and extensions. You will love the look of your new custom bistro table! Check out our matching Amish Barrel Stools! Diameter: 30", 36", 42" or 48"
Our table arrived today without a problem. We could not be more pleased with the entire process!